4 sets of 10 colour coded cylinders that vary in height and diameter in 4 long wooden boxes with coloured lids. 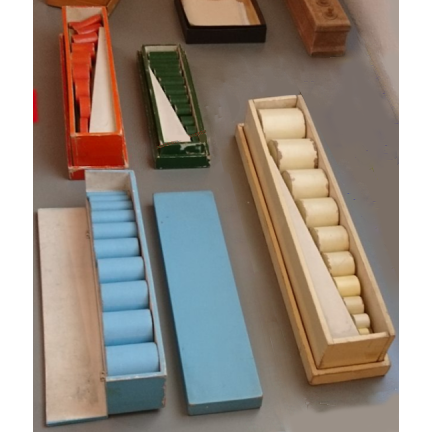 Based on early Montessori materials (see photo - early materials had a different colour combination) these boxes allow the cylinders to be stored in order and accessed easily with the flip down side. 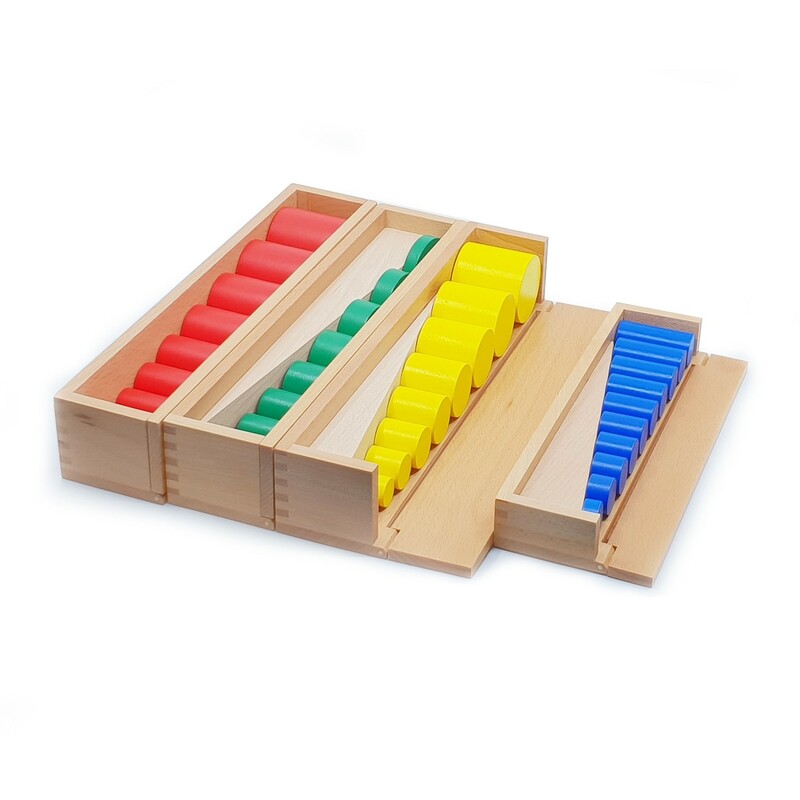 4 sets of 10 colour coded cylinders that vary in height and diameter in 4 long wooden boxes with colour coded lids. 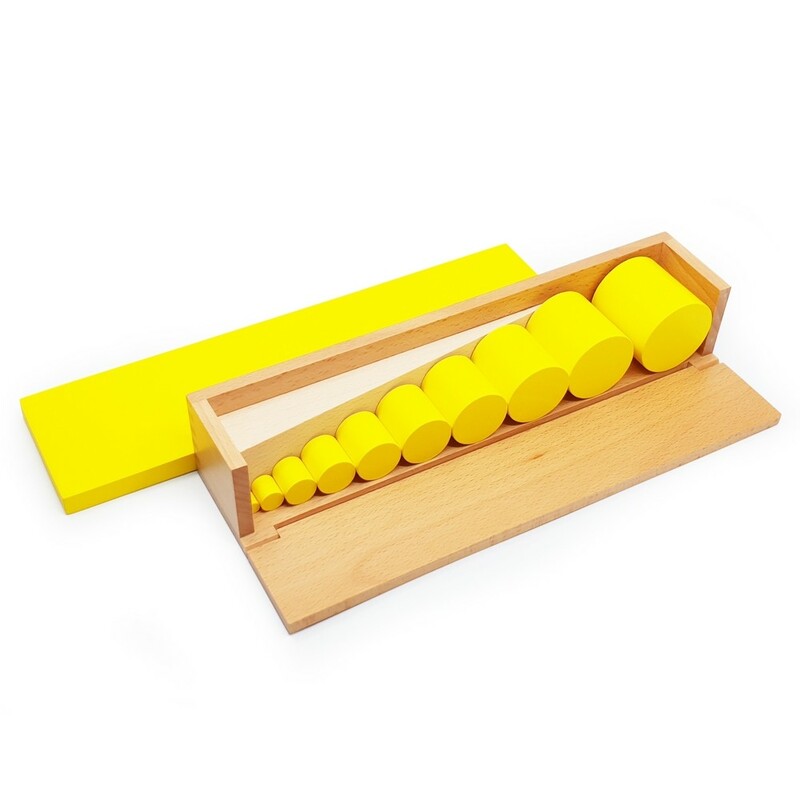 Yellow set: height and diameter of the cylinders decreases. 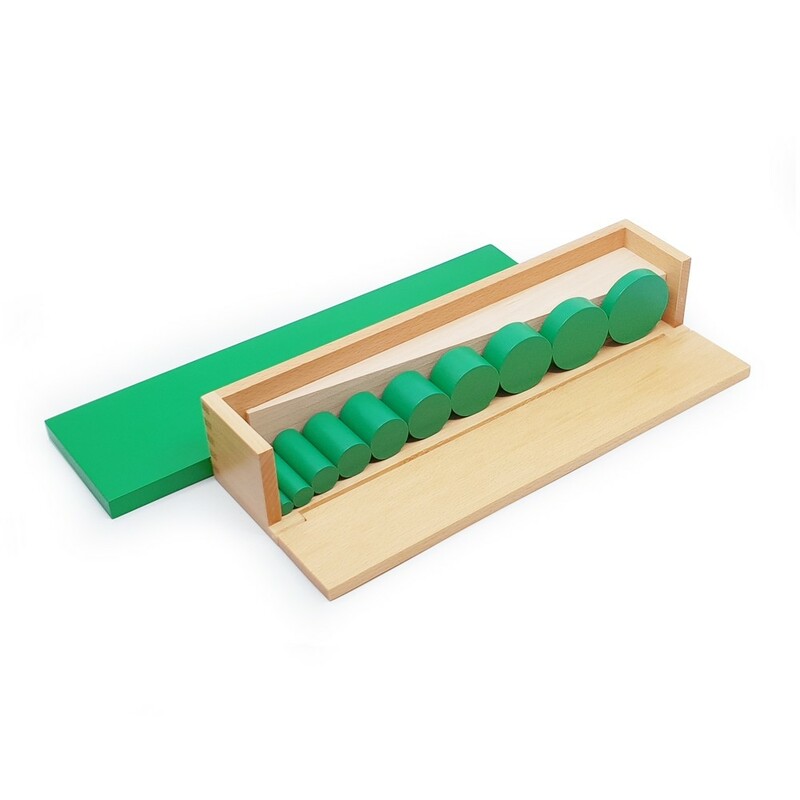 Green set: diameter decreases as the height increases. 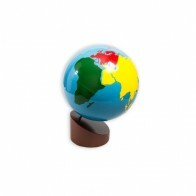 Red set: diameter decreases as the height remains constant. 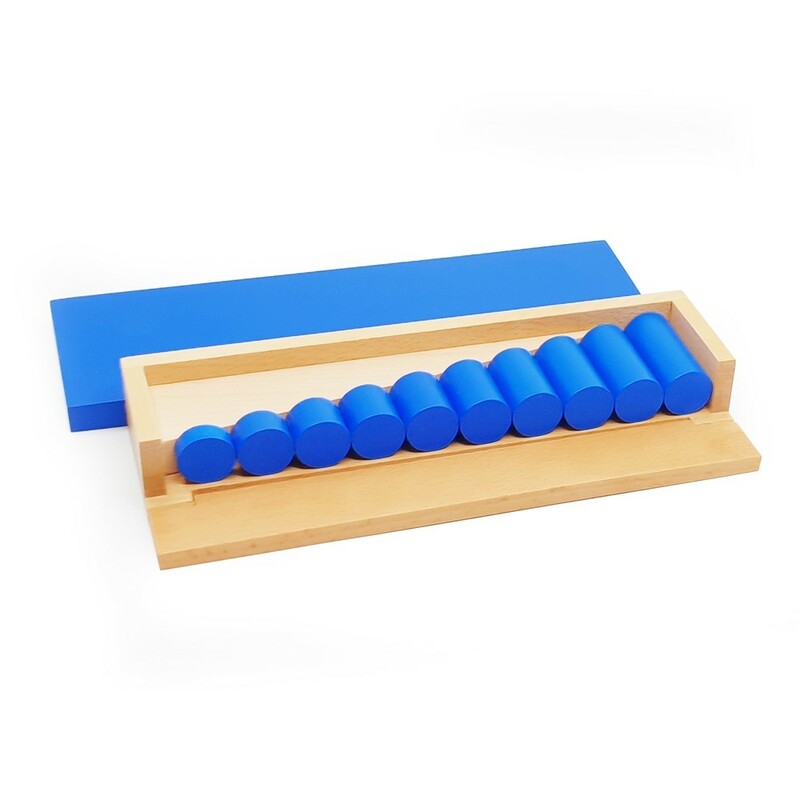 Blue set: height decreases as the diameter remains constant. 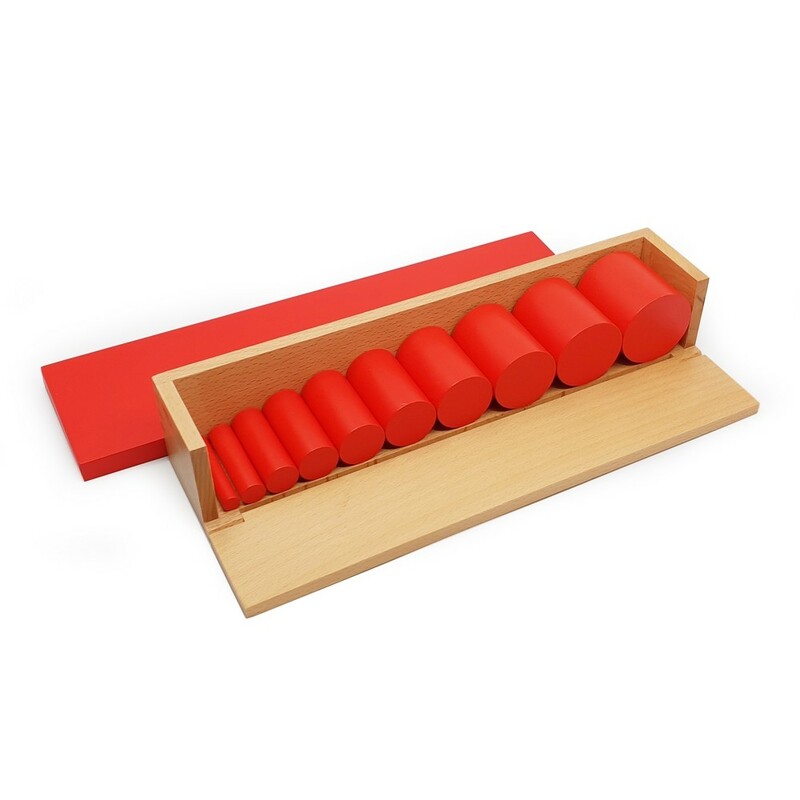 The knobless cylinders refine and apply the child's ability to discriminate dimension and prepare for mathematics activities involving comparison, grading and seriation. The child initially orders a set of cylinders as a line or as a tower, later the sets are combined and the interrelationships in size are experienced. 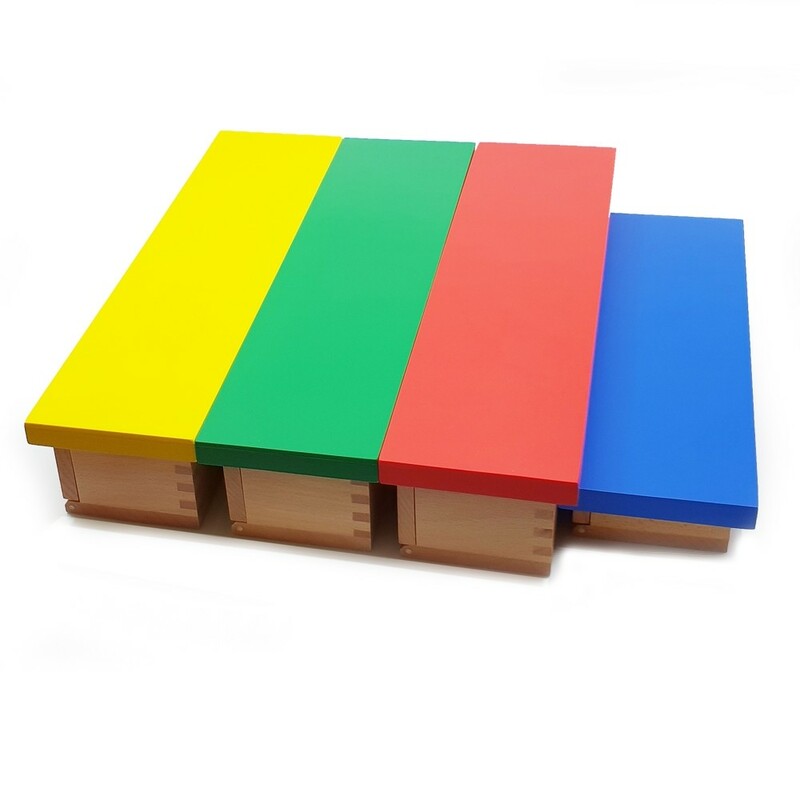 ELG: Shape, space and measures: children use everyday language to talk about size, weight, capacity, position, distance, time and money to compare quantities and objects and to solve problems. They recognise, create and describe patterns. They explore characteristics of everyday objects and shapes and use mathematical language to describe them. 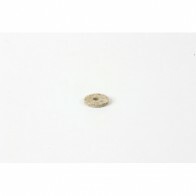 WARNING: Not suitable for 0-3 years - Small Parts: Choking hazard.